Sometimes, things don’t work out the way you want them to. From failing an exam to watching as your business crumbles around you, plenty of things can go wrong. It can be hard to think optimistically when it seems like the the odds are stacked against you and nothing is going your way. But by having faith in the universe and trusting that everything will work out exactly the way it’s supposed to, you can find that life has a funny way of straightening things out and rewarding you with even better results. Failing may initially make you feel miserable, weak and deflated but over time it can make you strong, resilient and tough. It can teach you to handle rejection and carry on with a sense of determination and self belief. Failure can help you uncover your true self and build your confidence in the process. Whether you’ve lost your dream job or your marriage has come to an end, you understandably may experience feelings of grief, anger and disappointment. Pouring yourself into something only for it to come to an abrupt and unwanted end can be incredibly painful. You may be left with a great void in your life. You may question how you’ll ever be happy again. The good news? You will be happy again and that big ugly void will soon be filled with something even better than you originally dreamed of. Failure can point you in the right direction and take you to even better places than you could possibly imagine. Losing your ‘dream’ job could carry you into an even better role. Divorcing the person you thought you’d spend your life with could nudge you towards the person you’re really supposed to spend your life with. You have absolutely no idea what lies around the corner. 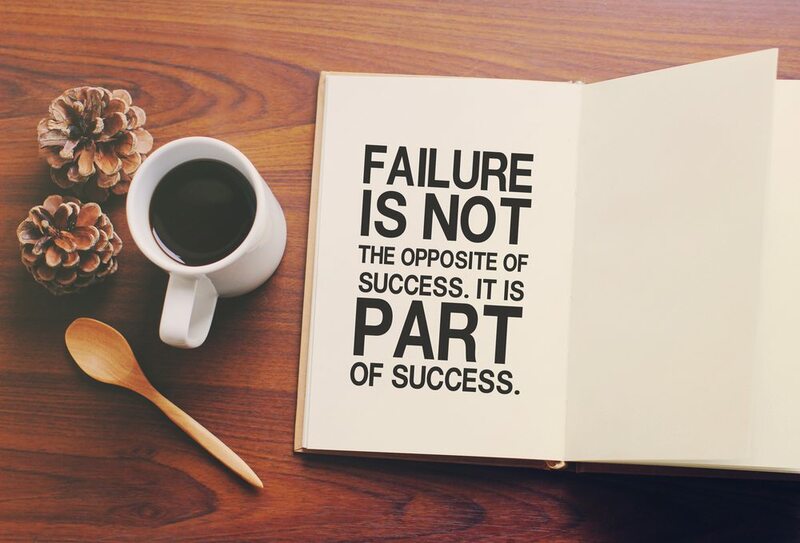 Some ‘failures’ aren’t even failures at all. For example, if you were to run a marathon only to collapse at the 25th mile and get whisked off in an ambulance, you may understandably feel as though you failed to achieve your goal. However, rather than thinking of this as a failure, think of it as a success. It’s often said that ‘whatever will be, will be’ and if you didn’t complete the marathon, maybe you were never even meant to. 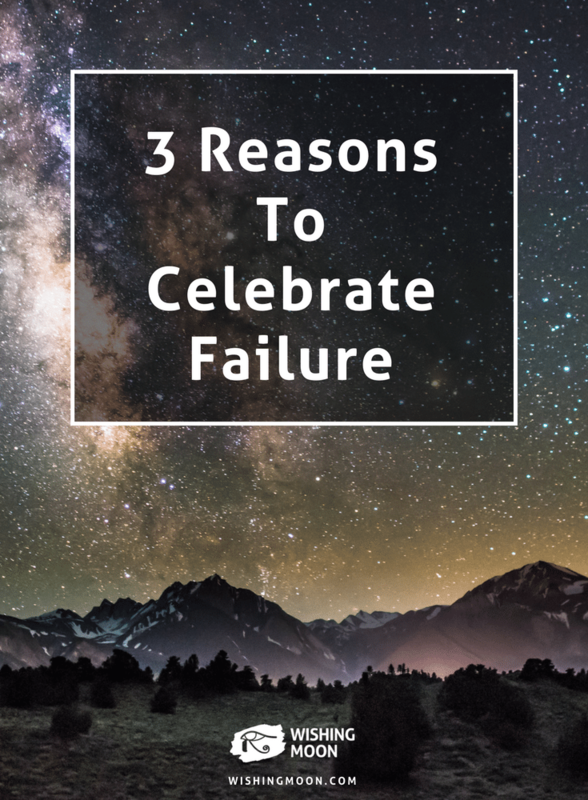 This perceived failure may teach you so much more than success would have done. This perceived failure may lead you somewhere that you never would have gone, had you completed the marathon. This perceived failure may introduce you to someone who can transform and enrich your life. Rather than thinking “I failed at completing a marathon”, you could put a spin on things and tell yourself “I took part in a marathon and got as far as I was meant to” or even “I was successful in not completing the marathon”. Right now, you may be unable to see the positives and your perceived failure may be weighing heavily on your mind. But over time, everything will gradually start to fall into place. You’ll be amazed at the world’s magical ability to fix your troubles and push you in the right direction. You might even start to wonder why you spent so long feeling sad. You might look back and wish that you’ve been more optimistic about the future. Eventually, life will take you to amazing places and you’ll be glad of the struggles that came before because without life’s little failures, we don’t learn, progress and grow. Often, life’s losses lead us exactly where we’re meant to be. The moral of the story? Next time you fail to achieve something you set out to do? Rejoice. Celebrate. Crack open a bottle of your favourite bubbly beverage because who knows what amazing triumphs lie in wait for you.